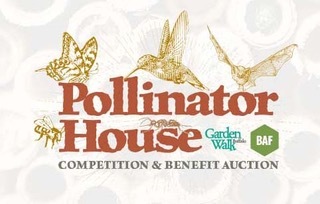 To commemorate the 25th anniversary of Garden Walk Buffalo, the Buffalo Architecture Foundation has partnered with Gardens Buffalo Niagara to launch the 2019 Pollinator House Design-Build Competition. This unique design-build competition encourages participants to submit a functional, contemporary pollinator house. The houses will be displayed during Garden Walk Buffalo and then auctioned off to support the programs of both Gardens Buffalo Niagara and the Buffalo Architecture Foundation. The competition seeks to bring awareness to the wide array of pollinators in Western New York. It wants to challenge the notion of how pollinator houses can or should look. The competition also encourages everyone to advocate for these critical animal partners. Environmental advocates, designers, artists and students are encouraged to participate. See examples of pollinator houses here. Pollinators have been increasingly threatened through the 20th and into the 21st century due to the heavy use of pesticides, invasive species, disease, parasites and loss of habitat. Specific issues such as colony collapse (bees), white nose syndrome (bats), and climate change (all pollinators), have led to the severe population loss of many pollinators in our region and beyond. Pollinators in Western New York include native bees, butterflies, other insects, bats and birds. Learn more about pollinators from the Pollinator Conservation Association. 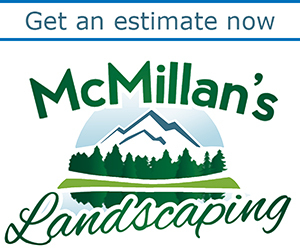 Learn more about pollinator friendly practices from the US Department of Agriculture. A jury of esteemed representatives from the Western New York architectural and gardening community will review all submissions for design quality, ingenuity, creativity, sustainability, and execution. Awards will be given in multiple categories, including best overall entry, most likely to attract a pollinator, and best student entry (K-12). Additional contest details can be found at the end of the document here. Buffalo Architecture Foundation, Inc. is a not-for-profit, public charity dedicated to inspiring the exploration and appreciation of architecture and how it shapes our lives. Its mission is implemented through educational activities for school-aged children and public awareness events engaging citizens of all ages. Gardens Buffalo Niagara’s mission is to create more vibrant and beautiful communities by sharing local gardens through events such as Garden Walk Buffalo, America’s largest garden tour; the 20 other regional garden tours; Tours of Open Gardens in July; The Buffalo-style Garden Art Sale; bike garden tours; and specialty tours, hosted by Explore Buffalo—the East Side Momentum and Buffalo Beyond Flowers Sustainability bus tours.